Potassium Bromide, Kalii Bromidum - Mody Chemi-Pharma Pvt. 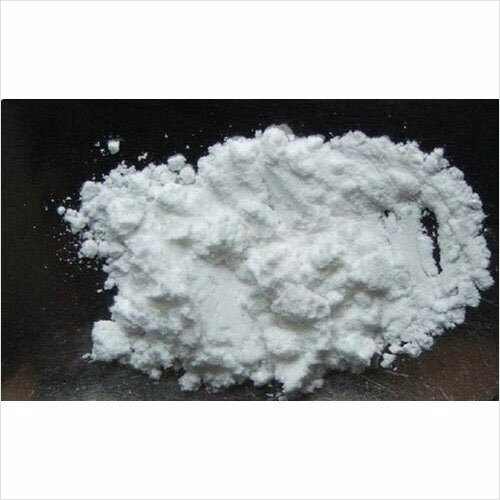 Ltd.
Potassium Bromide are also known as Kalii bromidum, Bromure de potassium, Bromide salt of potassium, 7758-02-3, Potassium bromide (KBr) and has Molecular Formula of BrK and Molecular Weight of 119.0023. Therapeutically, it has usage as a sedative, anticonvulsant and is made available in form of colorless crystals or white granules or powder/cubic crystals. It is also odorless and has pungent, strong, bitter, saline taste. Some of its properties include Boiling Point of 1435°C, Melting Point of 730°C, Density/Specific Gravity of 2.74 at 25°C and solubility of 1 g dissolving in 1.5 ml water, 1 ml boiling water, 250 ml alc, 21 ml boiling alc, 4.6 ml glycerol as well as sparingly in ethanol, diethyl ether. Sulfate 0. 2 % max. Potassium Bromide are also known as Kalii bromidum, Bromure de potassium, Bromide salt of potassium, 7758-02-3, Potassium bromide (KBr) and has Molecular Formula of BrK and Molecular Weight of 119.0023. Therapeutically, it has usage as a anticonvulsant and is made available in form of colorless crystals or white granules or powder/cubic crystals. It is also odorless and has pungent, strong, bitter, saline taste.